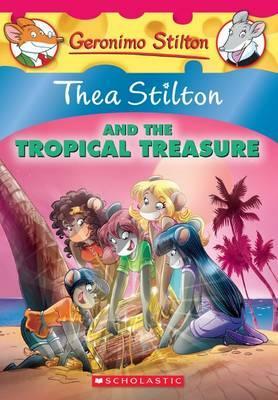 Join Thea Stilton and the Thea Sisters on an adventure packed with mystery and friendship! While the Thea Sisters are on a tropical vacation in the Bahamas, they stumble upon an old pirate map! It's related to a local legend. Could it lead to treasure?! The five mice venture onto the sparkling Caribbean Sea to follow the map... but someone else is trying to find the treasure first. It's a dazzling adventure!